Alright, I'm hesitant to completely write off this past week of tot school as a total bust, but it was definitely our least successful week yet. I'm not sure if it was just a total lack of interest in the tot trays or because it was such a busy week with our Halloween festivities. 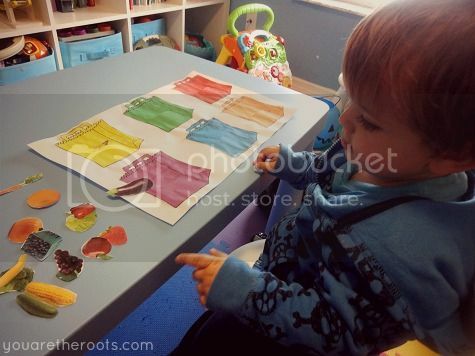 It just felt like Ethan completely lacked the desire to sit in the tot school classroom at all and when he did, he was more or less uninterested in the tot trays or in working with them more than once in a sitting. 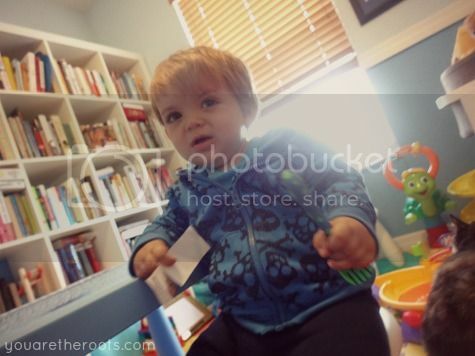 Mostly, he chose to play with toys or wanted to read books instead. We were also so busy this past week that we didn't do any new art projects, so that definitely stinks. 1. Rice Play - I brought out the rice play for the first time in about a month. A month ago, Ethan didn't really like it or the way the rice felt. I wanted to see how that changed over time. To my surprise, Ethan really liked rice play this week. 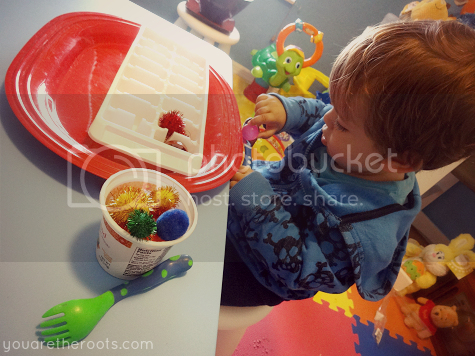 I included a scoop, a funnel and one of the little sponges I got at a dollar store that Ethan just loves. 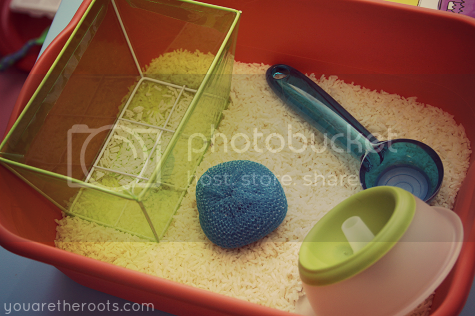 He loved to dig in the sand with the sponge and the scoop and every once in a while would use the scoop to put rice into the smaller bucket inside the tray (and all over the floor, but I digress). 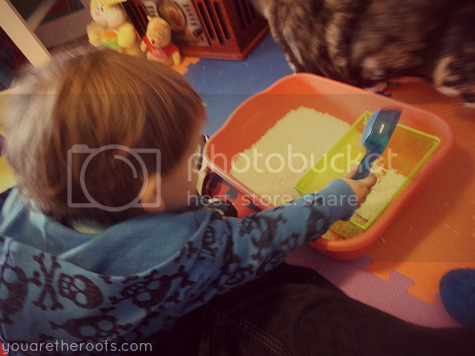 He also liked sticking his hands into the rice and splashing it around. 2. 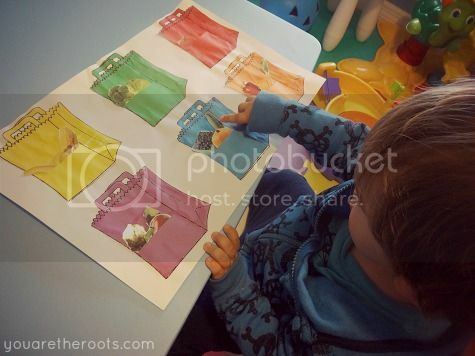 Grocery Bag Color Matching - I was sure this would be Ethan's favorite activity this week. He didn't hate it, but he certainly didn't love it. 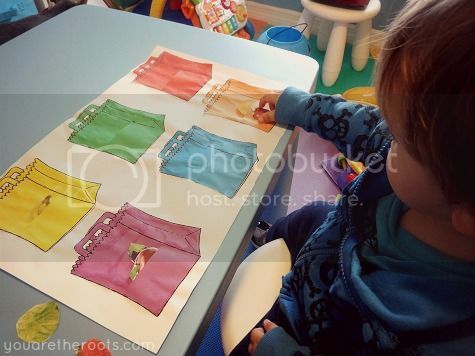 I printed out some grocery bags in different colors and made the fronts a pouch so he could slip fruits and vegetables in the corresponding colors into the bags. He didn't love doing this as much as I was sure he would. 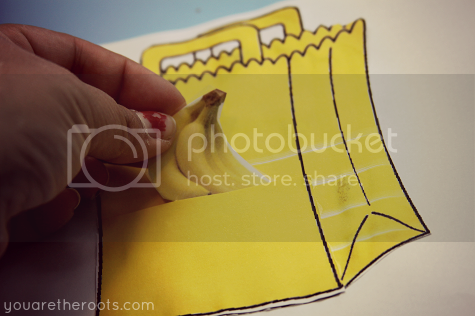 He did love looking at the pictures of fruits and vegetables that I'd printed and laminated, especially the blueberries, eggplant and pumpkin. 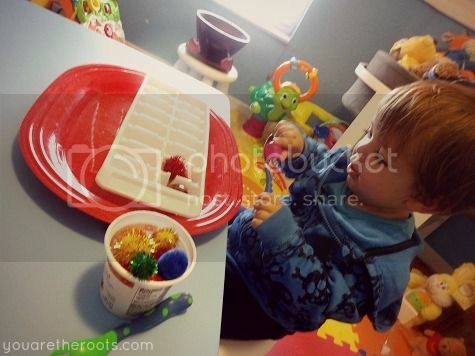 He'd sit down and do this activity once (he didn't get all of the colors right all of the time, but he still did great! ), start rushing towards the end and then just clap "yay, Ethan" and get up and move onto something else. This one I plan on bringing back out in a few weeks because I really think when he's in a different frame of mind, he'll really enjoy it. 3. 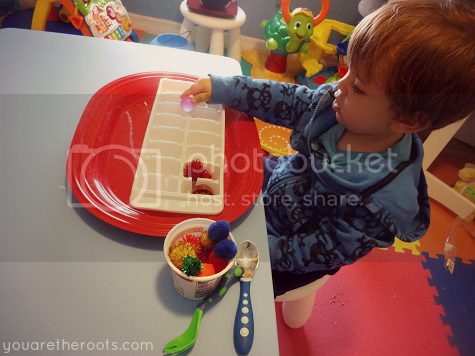 Ice Tray Sorting - This was probably Ethan's favorite activity of the week, but there were changes I took note to make. I filled a yogurt container with some pom-poms and pouch lids in varying colors and sizes. 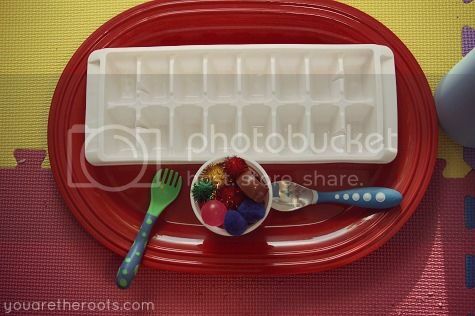 Using a spork and a spoon, he could scoop the pom-poms and pouch lids up and sort them into the ice tray. He was pretty good at this using the spork, but not so much the spoon. 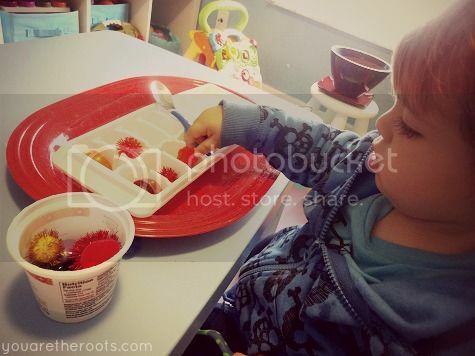 The spoon frustrated him a whole lot and he'd try -- with his fingers -- to put the pom-poms onto the spoon and do it that way. More often than not, he'd get frustrated, throw the spoon across the room and just use his fingers. 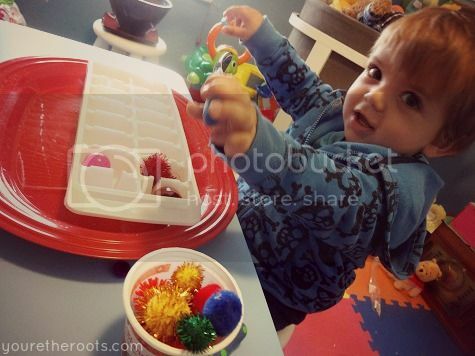 I think I will try this again with something wider than a yogurt cup and an ice tray -- something that gives him more room to try to scoop and sort tiny pieces as he's still getting the hang of it. 4. Character Puzzle Pieces - My husband thought these would be Ethan's favorite this week but he ended up being the most wrong of all. I had found images of some of Ethan's favorite characters online, typed their names underneath, framed them in Word and then printed and laminated them. 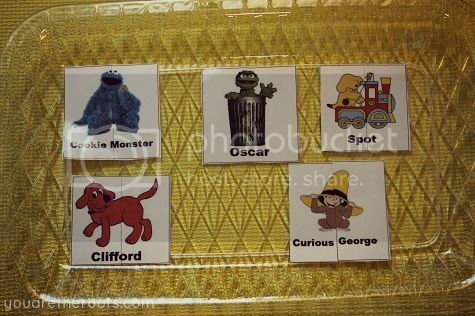 Once I laminated them, I sliced them in two pieces so they'd be easy for him to put together. (I stole this idea from Nicole, who is the tot school queen!) Ethan went insane when I separated the halves for him. He was so incredibly upset and worried about his favorite characters being in two pieces. He'd frantically run the pieces over to me and cry until I pushed them together. Eventually I had to hide the pieces out of his sight completely. It was one of those weeks. My mom suggested I use images without faces next time. She probably has a point there. That is so creative and looks like SO MUCH FUN! We all have weeks like this! Your trays look awesome. I bet if you tried them again on another week Ethan would love them. Toddlers are just weird and you have to go with the flow. There have been times Henry has been unwilling to even go into the classroom. I find it's been better not to push him, just let him do his own thing and try again the next day! Toddlers are SO weird. Ethan was just fighting with me because he only wants to eat the peel of the banana, not the actual banana itself. SIGH! Good idea. I'll try them again in a few weeks. Speaking of which, tried the felt board again and...no success! 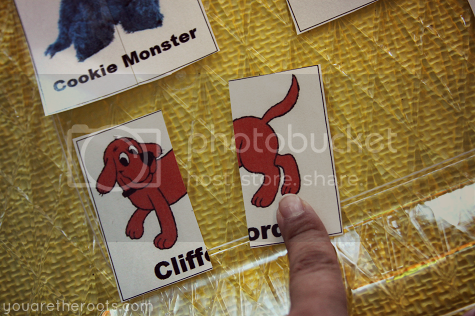 I don't know what the kid has against the felt board! 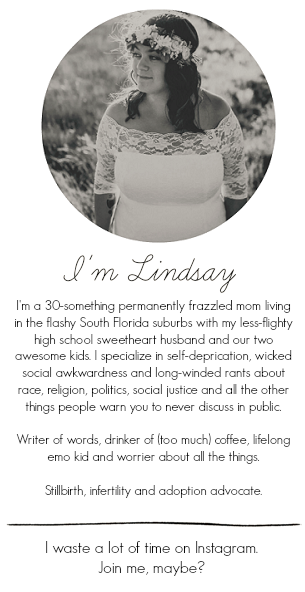 Hey Lindsay, do you have any specific stores online or otherwise that you purchase Ethan's books from? I feel like it can really add up quickly when purchasing them and didn't know if you have any secrets! Amazon used books in "good" or "like new" condition can be a steal! The library is our new favorite weekly stop for finding new reads. 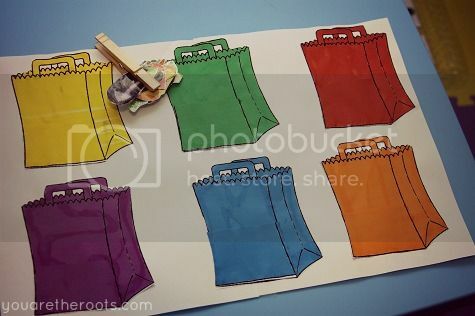 Our library now has book bags that have themed books along with music and felt activities. A lot of fun for free! Hi Bevin! I'd say about 70% of Ethan's books were mine when I was little, or they belonged to my little sister. My mom had kept them all for us over the years. Actually, some go older than that -- we just found my dad's original Boxcar Children from the 1960's in one of the boxes! At my baby shower, we also had people bring a book in lieu of a card, so we got a lot there. When I was pregnant, we did go to a Border's going out of business sale and get a ton of kids books for $1, which was a huge hit. Some libraries have book sales when they're trying to get in new stock where they sell the books for quarters or a dollar, max. I haven't been to one, but I just saw one of our libraries is having one this weekend and I'm super sad I won't be able to make it. Make check those out? Otherwise, like someone said, Amazon! Or even see if there are any big lots of children's books on E-Bay or Craigslist, maybe? If you use any, I'd love to hear how your kids liked them! It's always fun to see how different kids enjoy different activities! Aww, thank you so much, Monica! That means a lot to me! You are an awesome mommy, too!!! that's incredible. i don't even think P would know what to do with those groceries and she's way older. I gotta try the rice sometime!